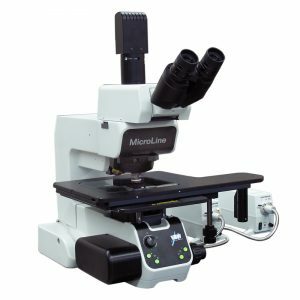 VIEW Micro-Metrology offers a full line of optical metrology systems for wafer, photomask, slider, MEMS, semiconductor package, HDD suspension, probe card, and micro-component process measurements. 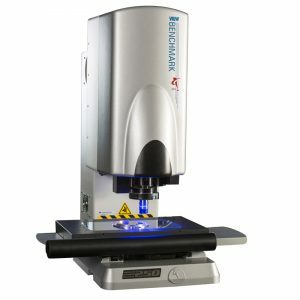 VIEW Micro-Metrology systems are designed for measurement of parts and assemblies with complex dimensions and a high density of features. The ultimate in high-speed, high-accuracy measurement for a manufacturing environment. There are five sub-ranges within the VIEW product range. The highest accuracy and fastest speeds of the VIEW line. The Pinnacle features a damped granite base and column, with passive vibration isolation. A precision compound X-Y stage with high-speed linear motor drives provides velocity of 400 mm / sec and acceleration of 1000 mm / sec. This combination of high acceleration and high velocity enables the high throughput required for near-line process monitoring. The rugged and compact design of the Pinnacle lends itself to installation in either a Q/A lab or at an inspection station in the manufacturing line. The Pinnacle can be equipped with an optional through-the-lens or offset mounted laser for added flexibility in Z-axis measurements. Pinnacle models can also utilise the optional SpectraProbe™ offering sub-micron Z-axis measurement resolution. Mid-range travel, high accuracy and a rugged, compact design in one value package that is ideally suited for the production floor. The Benchmark’s fixed bridge design separates the X and Y axis motions, allowing each to operate without any influence on the other. This arrangement provides the maximum mechanical integrity and accuracy in the stage motion. The bridge type design also makes loading and unloading of large parts more efficient, and helps to minimise the overall footprint of the system. The Benchmark is extremely compact, with a total footprint of less than 20 square feet. 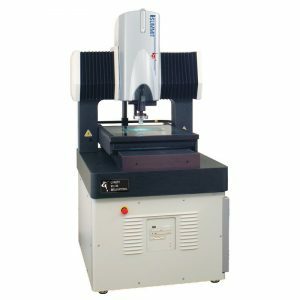 Dual magnification optics and an optional through-the-lens (TTL) laser sensor make the Benchmark an ideal system for many applications including moulded plastic parts, screen printer stencils, printed circuit boards, solder paste, epoxy glue dots, precision machined parts, and many others. High accuracy in a large measurement envelope. Summit systems feature a granite base and fixed bridge design – a well-proven design for high accuracy, larger travel measurement systems. Summit 450 and 600 models are offered with a choice of either high-speed servo motor drives or linear motor drives. The Summit 800 uses a precision ball-screw and servo motor drive system. All Summit models offer very high accuracy, while the linear motor models offer high speeds and improved motion control resulting in higher accuracy and throughput. 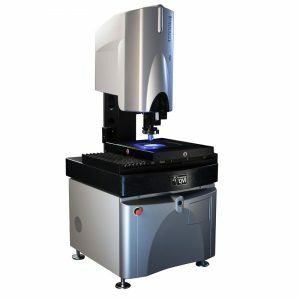 The Summit systems are ideal for measurement of large format parts requiring high accuracy, such as solder paste stencils and screens, artwork, panelised printed circuit boards, flex circuits, and micro-etched parts. Summit models can be equipped with an optional through-the-lens or offset mounted laser for added flexibility in Z-axis measurements. Summit models can also utilise the optional SpectraProbe™ offering sub-micron Z-axis measurement resolution. High accuracy micro-metrology system for wafers, masks, MEMs, and HDD heads. 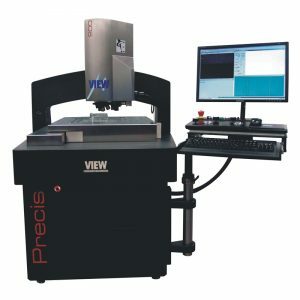 The Precis combines precision stages, proven microscope optics, and a choice of three world-class metrology software packages to provide new levels of capability for process metrology. The VIEW Precis delivers sub-micron field-of-view and point-to-point measurement accuracy on features as small as 0.65 μm. High-performance critical dimensional measurement system for wafers, masks, MEMS, and other micro-fabricated devices. This capable desktop instrument provides precise automated field-of-view measurement of features ranging in size from 0.65 μm to 400 μm on parts up to 200 mm.